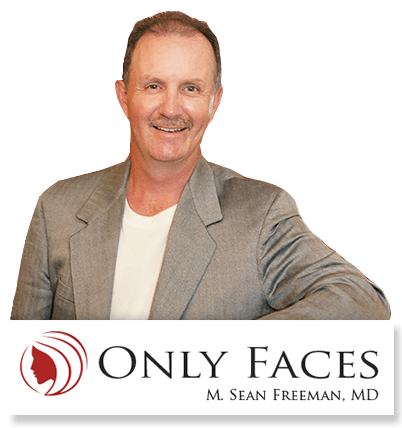 Dr. Sean Freeman, Charlotte’s most experienced Facial Plastic Surgeon, is double board certified, and has been practicing facial plastic surgery, including rhinoplasty surgery, since the early 80’s. He focuses solely on faces and offers: rhinoplasty surgery, revision rhinoplasty,blepharoplasty, Soof Lift, face lifts, brow lifts, facial mini-tucks, lip enhancement and more. Dr. Sean Freeman concentrates on ONLY FACES. His expertise and training far exceed any other facial plastic surgeon in the Charlotte area. Dr. Freeman has trained plastic surgeons throughout the US and overseas. If you want to trust your face and looks to someone, Dr. Freeman is the facial plastic surgeon to trust. 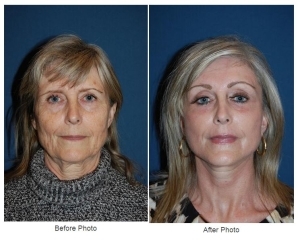 Dr. Freeman has developed specialty techniques in eyelid surgery that can restore an alert, youthful look. With minimally invasive, endoscopic techniques, we can rejuvenate a sagging brow for a refreshed and natural look. Through a deep plane or minimized-recovery approach, Dr. Freeman can address signs of aging such as loose skin and jowls. easy decision to decide to have your Nose Job with our practice. He is the most experienced rhinoplasty surgeon in the Charlotte area. Learn more about Rhinoplasty Surgery here. Patients unhappy with their rhinoplasty surgeries come from all over the Charlotte area and the South East to see Dr. Sean Freeman. Dr. Freeman is a specialist in fixing those that are unhappy with the result of their nose job. His revision rhinoplasty surgery fixes mistakes made by less experienced surgeons. Dr. Freeman is certified by both the American Board of Otolaryngology (ENT) and the American Board of Facial Plastic and Reconstructive Surgery, so he’s especially skilled at improving both the form and function of the nose. Patients who have previously undergone rhinoplasty and are dissatisfied with their results can trust Dr. Freeman with their complex cases. Read more and see photos of Rhinoplasty Revision here. Also known as eyelid surgery is a very popular surgical procedure to correct problems such as sagging eyes due to aging, along with inherited traits such as bulging under the eye. for rejuvenation of the lower lids. Learn more about his innovative SOOF lift technique here. 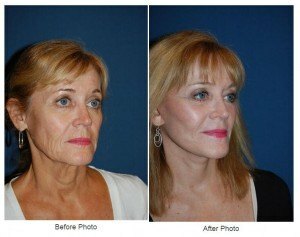 Facelifts are one of Dr. Freeman’s specialties. Natural aging can cause wrinkles and sagging skin. You can improve your appearance with a facelift. Dr. Sean Freeman has spent his career fine-tuning face lift techniques. It’s essential to choose a facial plastic surgeon with the most experience and positive outcomes. 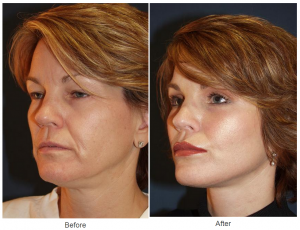 Dr. Freeman has done more deep plane facelifts and facial mini tucks than any other cosmetic surgeon in the region. You can trust him with natural results. Read more about deep plane facelifts and facial mini tucks here. United States to perform endoscopic brow lift surgery. He has authored several papers and taught numerous courses on the subject. Dr. Freeman offers 3 different types of Endoscopic Brow Lifts: Lateral brow lift, ¾ brow lift and Full Brow lift. Click here to learn more about brow lifts. Lip enhancement can be done surgically or with dermal fillers. Dr. Sean Freeman, the southeast’s best known and most experienced facial plastic surgeon, will help you make the best decision of what’s right for your lip augmentation.